The town of Ouchi-juku once prospered as a post station where travelers could rest along the road connecting Aizuwakamatsu and Imaichi in Tochigi Prefecture. One of its attractions is a row of venerable thatch-roofed houses that still remains from the old days, exuding an air of a bygone era in a Japanese post town of the Edo Period. This area has been designated as an Important Preservation District for Groups of Historic Buildings, enabling people today to imagine what life must have been like in earlier times. 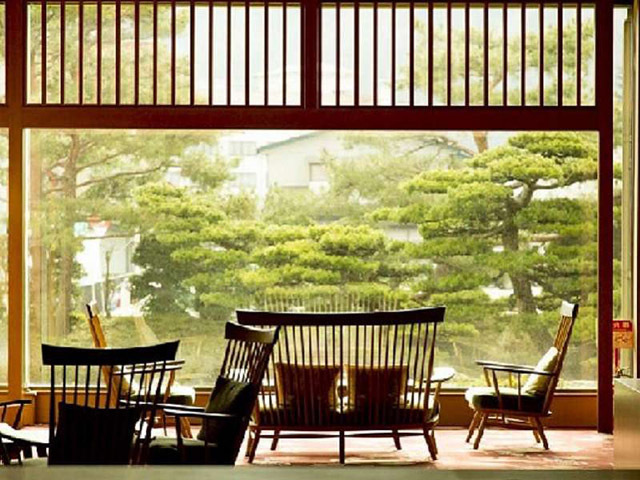 Marumine Kanko Hotel is located at Ashinomakin Onsen, and situated on the Okawa River Line Park. It is in a quiet environment, and welcoming hotel guests with great hospitality. Please relax and enjoy for 24 hours at the hot spring bath.